Dreami® is a complete baby sleep system, which has been designed for maximum flexibility around the home and on the go. The Dreami® sleep system uses our our clever ventilated base with a breathable 3D mesh fabric, which is both padded yet fully breathable. The mesh is cotton facing to be soft against baby and has a hypoallergenic inner core which wicks away moisture and offers a padded feel. For maximum flexibility the Dreami® base is easily removed from the Curve Stand, and can be used in a high-level fixed position or as a low-level rocker. 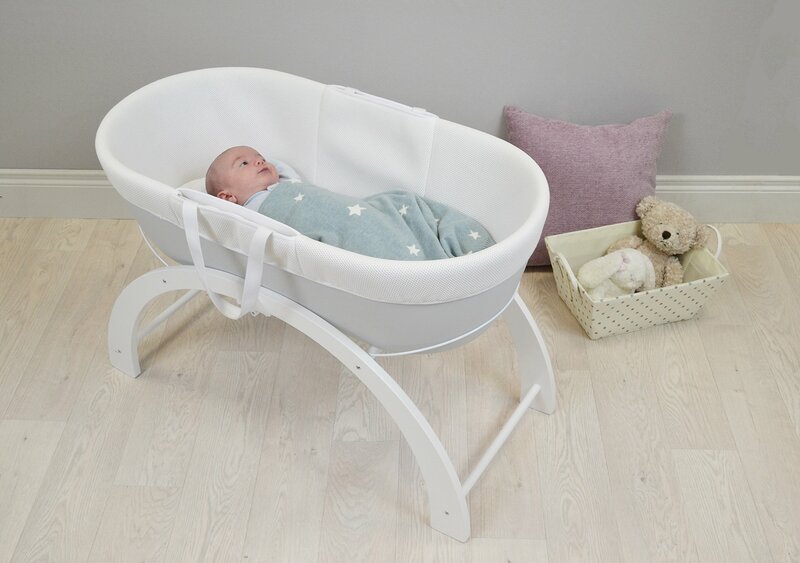 When not in use the Curve Stand can be easily folded up, allowing Dreami to be stored away or taken to granny’s house for the afternoon.Suitable from birth up to 6 months, or when baby starts to roll over or sit up unaided. The perfect sleep system to keep baby close, day & night. Quickly change from fixed to rocking position.